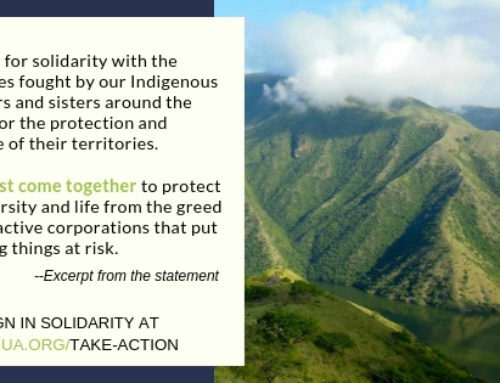 Three things you can do to halt Tahoe Resources’ expansion in Guatemala! For the past five years, communities impacted by Tahoe Resources’ Escobal mine in southeastern Guatemala have stood up to peacefully defend their lands and livelihoods. 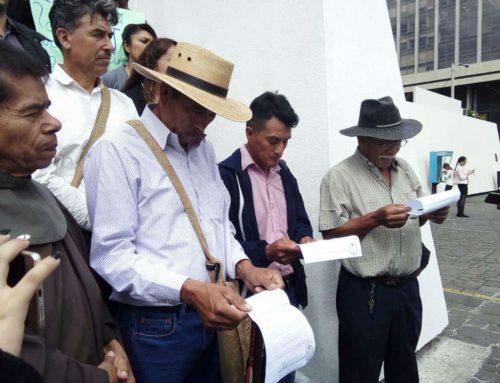 The Diocesan Committee in the Defense of Nature (CODIDENA) has led this movement – organizing and carrying out community referenda in which more than 55,000 people in seven municipalities voted against the silver mine. Despite this clear message, Tahoe and the Guatemalan government have pushed the project forward, using violent repression, criminalization and militarization in an attempt silence the resistance. But the resistance didn’t go away. Today, thousands of brave women and men continue to seek out new, creative and resilient ways to express their opposition to Tahoe’s Escobal project and to halt the company’s plans to develop more mines in the region. 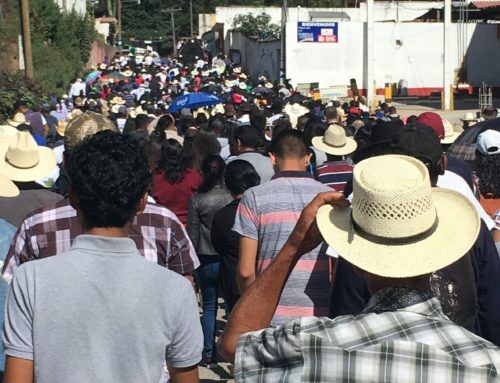 This October, CODIDENA and NISGUA will visit seven states across the US to call attention to Tahoe’s human rights violations in Guatemala and to build solidarity across borders. 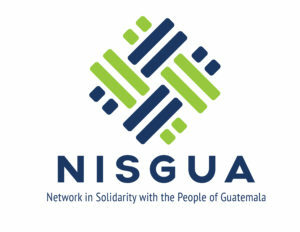 Upon return, we will meet with the US Embassy in Guatemala to demand accountability for US – Canadian companies operating in Guatemala with impunity but without the consent of impacted communities. 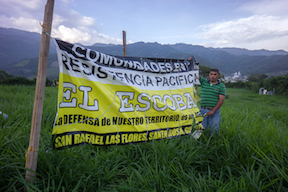 Tell the US government: Tahoe Resources contributes to human rights violations in Guatemala! Hello, my name is ____________________, and I am deeply concerned that North American mining companies are contributing to human rights violations in Guatemala. There is mounting evidence that Tahoe Resources, a company operating in Guatemala with headquarters in Nevada and Vancouver, collaborated with the Guatemalan military and a US private security company to suppress local opposition to their Escobal silver mine through the criminalization of protest and violent repression. Today, military outposts line the highway on either side of the mine, intimidating communities who have consistently and democratically voted against mining in their territory. The abusive actions of US companies abroad is a US problem and requires US government response. I ask that you share this information and concern with Roberta Jacobson, head of the Bureau of Western Hemisphere Affairs at the US State Department and Todd Robinson, US Ambassador to Guatemala. Upon return from the tour, we will meet with the US Embassy to raise concerns about human rights violations around the Escobal mine. Show that you stand with CODIDENA in opposing Tahoe Resources in Guatemala by adding your voice to our Thunderclap. The day before the meeting, this messages will be posted from your Twitter, Facebook, or Tumblr account along with messages from hundreds of others! 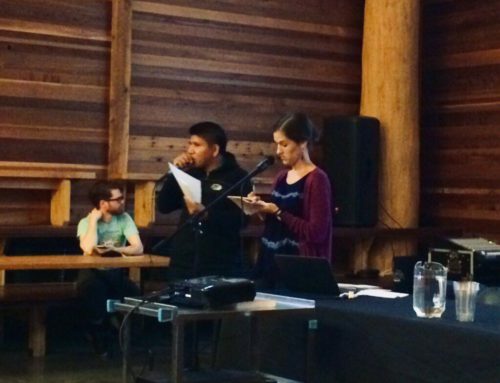 Mine-impacted communities want us to know that despite repression and militarization, they are still resisting Tahoe’s operations and expansion. Let them know that you stand with them by taking a picture of yourself with a sign expressing your solidarity. Use the hashtag #StillHereWithYou or #SeguimosConUstedes and #TahoeOnTrial. 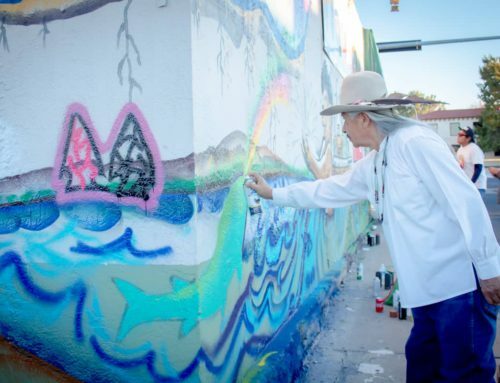 Tag NISGUA on Facebook or Twitter!